The Black Consciousness Movement was strongly anchored in the historical and political context of apartheid South Africa, but nonetheless stemmed from a broader dialectic of black liberation. Within this framework, texts and ideas circulated, notably through the medium of academia, where discussions on Marxism and theories of revolutions were becoming common ground. 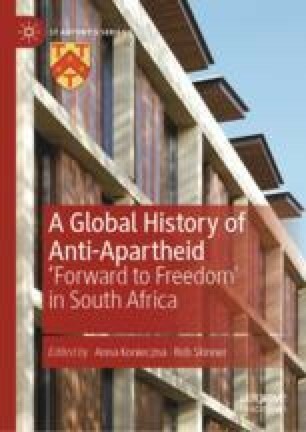 In that respect, this chapter shall aim at answering the question: to what extent did the global context of decolonization and the specific revolutionary fervour of the 1960s in Europe influence the situation in South Africa? More precisely, this paper shall analyse the impact of Fanonian thought and the repercussions of May ‘68 in France on the emergence of Black Consciousness philosophy, and the subsequent effect it had on Anti-Apartheid solidarity abroad. Historical Papers Research Archive. Digitized Collections. http://www.historicalpapers.wits.ac.za/?digitalSelection/U/.